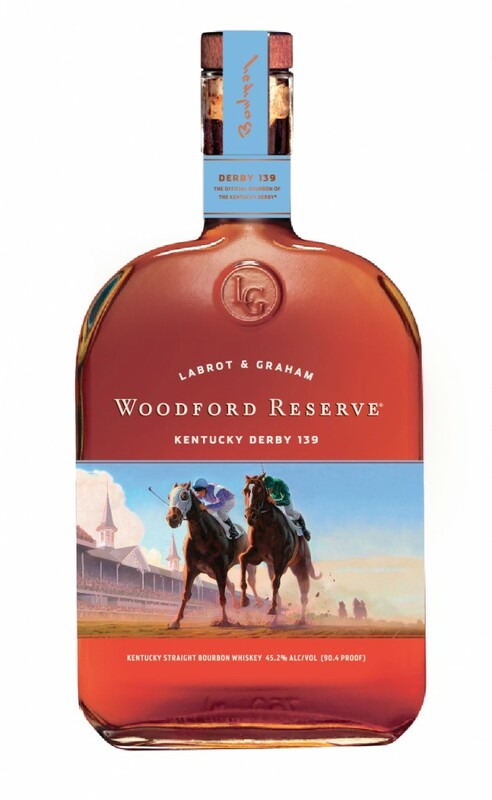 Woodford Reserve, the “Official Bourbon of the Kentucky Derby” tells BourbonBlog.com they are honoring the country’s favorite horse race with the release of its 2013 Kentucky Derby commemorative bottle. A product of the Woodford Reserve Distillery in Versailles, Kentucky, 2013’s limited-edition bottle features the artwork of Oregon-based painter Eric Bowman. Bowman’s picture on the bottle depicts a crisp, sunny Kentucky Derby day, with blue skies over the historic Twin Spires. A close-up of two horses are shown racing neck and neck down the track in front of the spires, kicking up dirt as they fight towards the finish line. Two jockeys in colorful silks are saddled on the horses, galloping them towards the prize. A silhouette of three horses is shown in the distant background trying to catch up to the leaders. A neck band, featured in the same sky blue color, displays the artist’s signature and seals the top of the commemorative bottle. An attached tag hangs around the bottle bearing information about the product and the artist. The commemorative liter-size bottle will be available in 46 markets nationwide at a suggested retail price of $43.99. Woodford Reserve has been the “Official Bourbon of the Kentucky Derby” for the past 15 years. It also sponsors a Grade I race, The Woodford Reserve Turf Classic, which runs on Kentucky Derby Day, May 4, 2013, and has become one of Thoroughbred racing’s premier turf events with a $500,000 purse. As BourbonBlog.com prepares for our Kentucky Derby 139 Coverage, we invite you to enjoy one of our favorite videos from last year as Tom Fischer tastes the $1,000 Mint Julep with Master Distiller Morris. 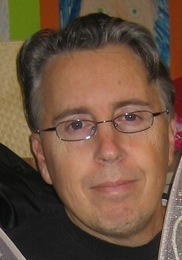 Eric honed his craft as a commercial artist in Southern California, creating original oil paintings for high profile clients. His work has adorned the covers of numerous books, music CDs, and popular periodicals, while his fine art has garnered many awards in juried competitions, showing in some of the country’s most prestigious galleries. He resides with his wife and daughter in Tigard, Oregon. Woodford Reserve, the “Official Bourbon of the Kentucky Derby,” is crafted at the historic Woodford Reserve Distillery in Versailles, Kentucky – the heart of thoroughbred country. 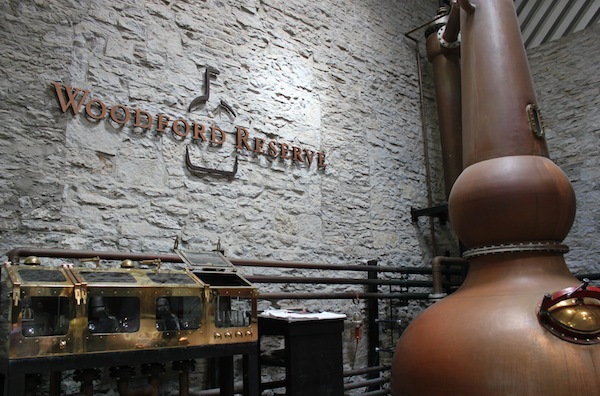 Woodford Reserve is a product of the Brown-Forman Corporation, a producer and marketer of fine quality beverage alcohol brands such as Jack Daniel’s, Southern Comfort, Finlandia, Korbel, Tequila Herradura, Sonoma-Cutrer, Chambord, and Tuaca. For more information on Woodford Reserve, visit www.woodfordreserve.com or visit Facebook at www.facebook.com/woodfordreserve. 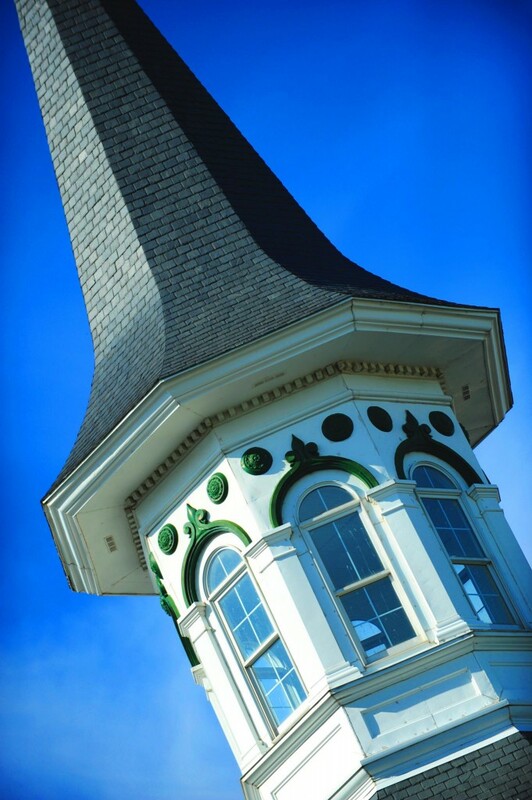 Located in Louisville, the flagship racetrack of Churchill Downs Incorporated (NASDAQ: CHDN) also operates Trackside at Churchill Downs, which offers year-round simulcast wagering at the historic track. Churchill Downs will conduct the 139th running of the Kentucky Derby on May 4, 2013 and its 2013 Spring Meet is scheduled for April 27-June 30. The track has hosted the Breeders’ Cup World Championships a record eight times. Information about Churchill Downs can be found on the Internet at www.ChurchillDowns.com.Churchill Downs, Kentucky Derby and the Twin Spires design are registered trademarks of Churchill Downs Incorporated.